Colfax was built in 1950 on what was once a 10-acre arboretum. Tree lovers and environmentalists at the time protested the building of the school, declaring that the loss of 1500 trees would impact the neighborhood quail, birds, and squirrels that lived on the property. Dr. A.F. 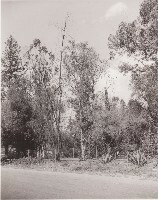 Schiffman, owner of the property, planted and cared for over 200 species of trees since he purchased the land in 1902. After much public debate and with the support of neighborhood families, the Los Angeles Unified School District moved forward to build Colfax and agreed to save as many of the mature trees as possible. The trees that remain on the campus today are symbolic of our history and they create an idyllic school setting that embodies the school's motto "Rooted in education and reaching for the stars." In 1951 Colfax Elementary opened it's doors to 849 students with Principal Francis Pfortner as the school's leader. The local neighborhood community has always supported Colfax. The school is a community hub and a source of pride for the Valley Village homeowners. The school's first Principal, Mrs. Pfortner, is legend among Valley Village residents who attended Colfax in the 50's and 60's. 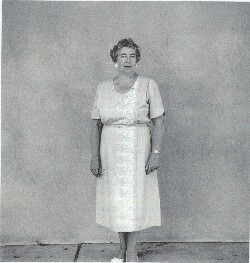 She served as the school's leader for 16 years until 1966. Her dream of having a proper school library would not be realized until 2002 when parents and then Principal Joanie Freckmann raised $10,000 to turn two classrooms into the current day Wonder of Reading Library. With the support of former student, Tony Walker, who currently lives across the street, the library opened it's doors and was named the Francis Pfortner Library. The 70's and 80's were a time of transition and change for Colfax. After the 1971 Sylmar Earthquake and as part of Integration programs, Colfax received students from Hoover Street Elementary, in Los Angeles. This began a long standing tradition at Colfax, that all children learn best in diverse classrooms. The school’s educational program continues to serve students of all abilities, ranging from those who are eligible for special education, academically low-achieving, English learners, gifted, and highly gifted children. Our kindergarten teachers are accustomed to welcoming children with no English-speaking skills, little social orientation, limited multicultural exposure, special education needs, and varied preschool experiences. In 2006 the school earned CA Distinguished School Status for the first time. In 2010 the School again earned the distinction for it's progress in closing the achievement gap that exists between various subgroups. The Colfax faculty and staff firmly believe that all children can learn and that they learn best when educated together. All of our school-aged students identified with special needs are educated within the general education classroom for all or most of the school day. Our general and special education teachers work collaboratively to ensure that each child has full access to the core curriculum.The teachers, families and staff of Colfax are dedicated to the academic and personal success of all students. We strive to prepare our students to face a future filled with ever-changing challenges by providing them with a curriculum that integrates technology, the arts and environmental sustainability. Together we enable each child to aspire to his/her highest potential in a safe and caring environment. Parents are a driving force at Colfax. They actively participate in numerous ways that directly impact student achievement. They serve on our important Local School Leadership Council, volunteer in classrooms, and raise funds to provide enrichment during and outside of the instructional day for all students.